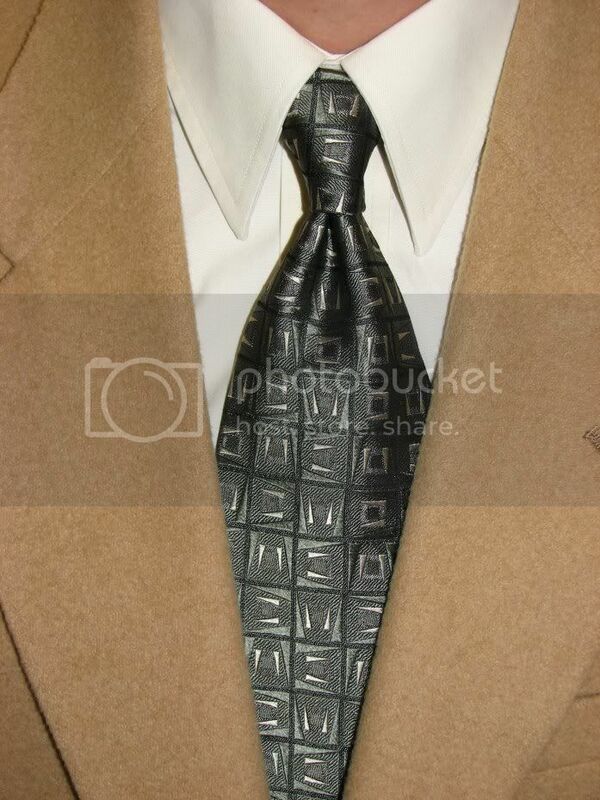 Yet another Jos A Bank Signature necktie. It's one of the older, non self-tipped versions. This particular one was extremely difficult to get a decent knot and after several attempts I just went with what I had. That's a problem with Ebaying ties -- there's no test drive possibility. Life's about trade offs anyway and I guess the trade off for cheap, nice neckwear is the lack of knottiness. The dress shirt is the off-white (ecru) straight collar and the only sport coat I figured would conglomerate is the tan one. Maybe I should have stayed in bed. It's my last week at this particular job so I couldn't do that.